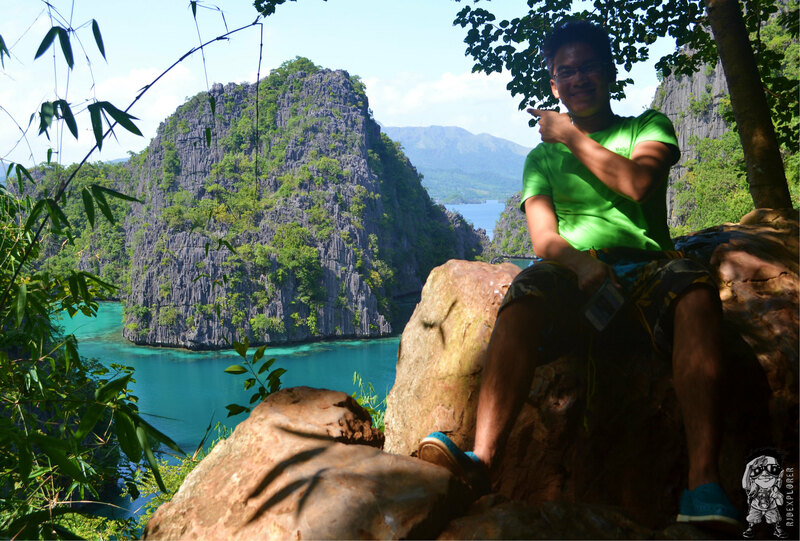 My anticipated Coron Island Hopping tagged as Coron Island Ultimate Tour activity happened on my second day in the town. After I settled my things in Daven’s Palace, I went directly to Calamianes Expedition and Eco-Tours for the assembly of the activity. After filling in and signing their waiver form, we made our way to the port for the start of the tour. 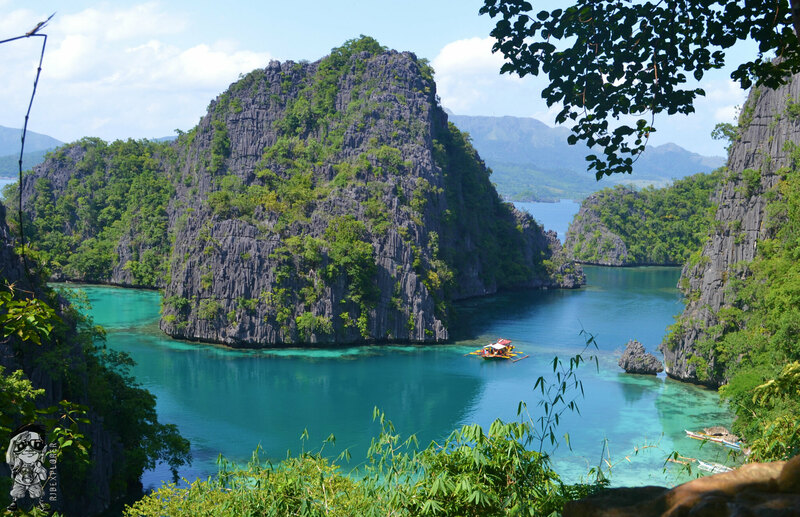 Most photographed spot in Coron. We were 9 in the group. Our first destination was the CYC Island. I just found out from the guide Kuya Doniel that CYC stands for Coron Youth Club. The water around the island is shallow and clear that made me miss Mahabang Buhangin of Calaguas in Camarines Norte. The sand is white but not that powdery. There are no corals or underwater sight in the island and is basically for swimming only. I love the cute mangrove trees on the side of the island where the boats dock. Since we were blessed with a good weather, it was perfect to take some panoramic shots with my phone. Panoramic shot of CYC Island. Coral Garden was our next destination. I rented a snorkel and mask to enjoy the marine life underwater but was dismayed by the strong waves in that part of the sea. With the situation, I didn’t get an opportunity to properly view what’s underwater. I even prepared my smartphone secured by an Aquapac submersible pouch to document the view underneath it. It was followed by the Twin Peaks Reef. The attraction was named as such because of the two islets in the area. 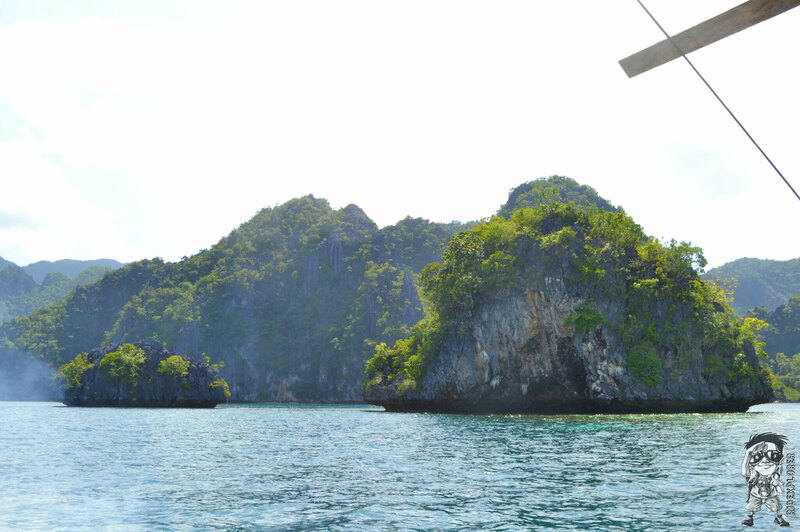 As per our boatmen, the islets were only a single island in the past wherein its peak having a cave being used by the tribes as burial cave for their deceased loved-ones. Water here is more at rest than in Coral Garden so some members of the group went snorkeling. Angel, Heart and I were already contented staring at the limestone cliffs nearby. We then headed to Bulungan Beach for our lunch which was included in the tour package. They prepared grilled fish, liempo, and seaweeds (lato) for us. The fish was so corpulent but not too tasty thanks to the soy sauce. I miss eating lato so I thanked my companions for not getting much of it that I was able to consume half of what was served. Approaching Bulungan Beach. That’s Doniel our guide for the island hopping. Next stop was Hidden Lagoon. We’re wondering why they named it that way though it was not hidden. Water is not that clear on a turquoise color. Doniel told us that water is cool so we got off the boat and plunged into the really cool waters of the lagoon. If you want to snorkel, you need to go further to see relatives of Nemo. Cool waters of Hidden Lagoon. 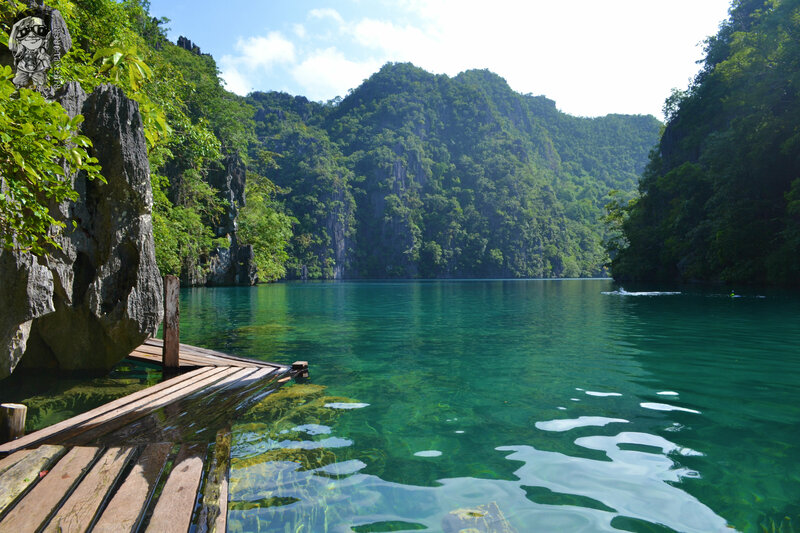 Our last stop for the day was the Kayangan Lake. When we docked on the island, I already took a lot of photos. The guide then said that we must reserve our camera batteries and storage for the lake. I confirmed from him that the view that I’m capturing isn’t the lake and that we’ll need to trek first. The trail is a bit steep with sharp rocks although the locals already installed wood as handles to assist you while climbing. On the peak of the trail, we stopped to take a picture of the most photographed spot in Coron (the one you see in promotions and most fliers of different travel agencies). We continued our trek and from that point, we can already see the lake. A pathway made of woods was already available surrounding the threshold of the lake. Since the water is clear, you can see the rocks underneath it. The lake is deep so I put on my life vest first before throwing myself in the water. Around 3 in the afternoon when we decided to leave Kayangan Lake and head back to the port. 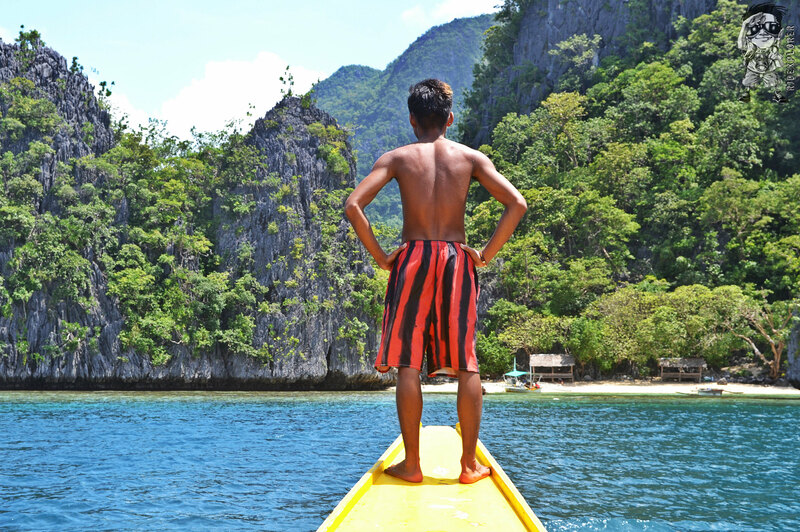 We were lucky to experience the basic Coron island hopping with a very sunny and good weather. 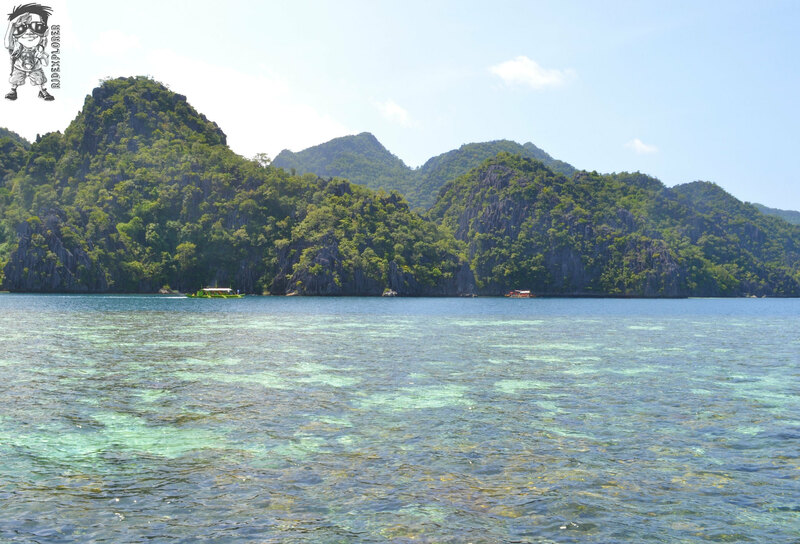 Even though it was shady sometimes, the nice weather throughout the day enabled us to see the crystal clear waters of some areas of Coron, Palawan. 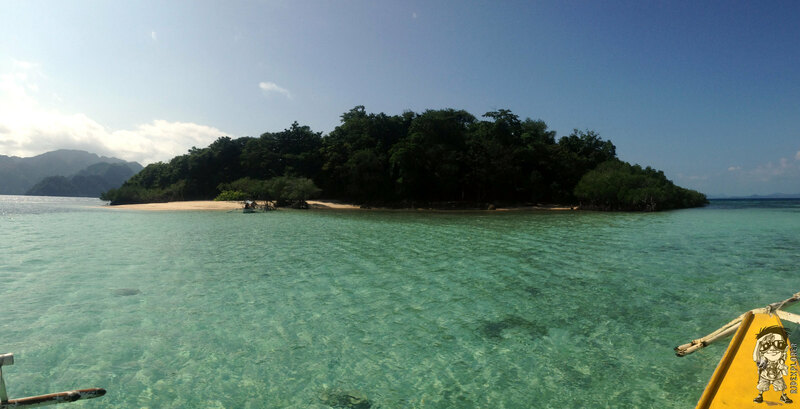 The budget tour package was availed from Calamianes Expedition and Eco-Tours at a rate of Php 650 per person all-in for the whole day island hopping getaway. It covers the licensed tour boat, rent for lifevest and first-aid kits, packed lunch, tour assistant and all entrance fees for the islands and attractions visited.